I can remember her well, the old wrinkly lady on tv. By the time I had the maturity to appreciate her work wholeheartedly she was no longer officially in office. But she had such a charisma and noble vibe around her that she was still quite often in the news, helping in one of her missions, trying to make the life of the poorest of the poor a little bit better. She did not do this for fame or money: it was her life’s mission. The life of Mother Theresa shows devotion and action for people that need it most. Be more like her, and be kinder to people that are not as fortunate as you are. 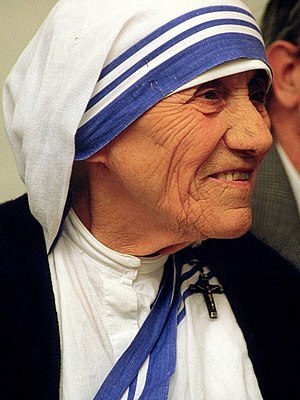 How did the life of Mother Theresa influence you? What is it about her that you remember the most? And how do you see her life from the perspective of tolerance? I’d love your feedback. Also if you have a suggestion to spot someone in the spotlight let me know!